Every March, hundreds of bands take part in Regional Championships around the country to determine their gradings for the next year and to win qualification for the Finals of the National Championships of Great Britain. scaba Member Bands enjoyed a successful weekend at the London & Southern Counties contests in Stevenage this weekend. In the Third Section, scaba member Chichester City band took 2nd place and booked a trip to the National Finals in Cheltenham. Epping Forest, Crystal Palace and Brighton & Hove City Brass all enjoyed solid results coming 5th, 7th and 8th respectively. 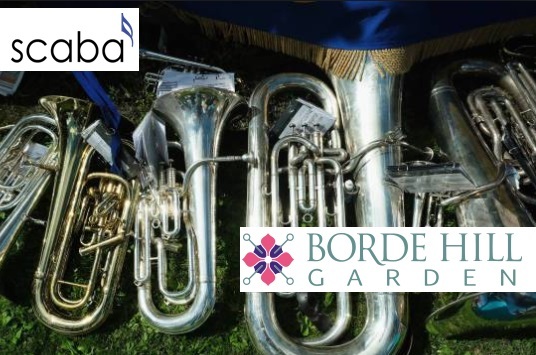 The Second Section saw LGB Brass (MD Ian Stewart) taking top honours and qualifying for another Finals appearance – this is becoming an expensive habit for the 2013 3rd Section National Champions! 2nd placed St Sebastian Wokingham (John Watts) will join them in Cheltenham, and Horsham Borough were close behind in 5th place. Newly promoted Amersham Band and their MD Paul Fisher were delighted to take 2nd place in the First Section. They will be returning to the Cheltenham for the fourth time in six years, and will go into 2019 close to the top of the regional First Section grading tables. Impressive stuff from a band who were competing in the 4th section just 6 years ago. The weekend ended with the Championship section, won by Friary Guildford band for the 4th time. Friary and their MD Chris King are only the second band to hold the title of London & Southern Counties Regional Champion together in 4 consecutive years (a feat previously achieved by Redbridge Brass with Melvin White in 2002-05) and they will be returning to the National Finals at the Royal Albert Hall in October for the 6th consecutive year. Huge congratulations to the prizewinners and qualifiers; we look forward to hearing them at a scaba contest soon, and supporting them when they represent the L&SC Region and our association at the National Finals. This entry was posted in Blog, News and tagged #AmBand, #ChiCityBand, #NationalFinals, #regs2018, #WokinghamBrass, Friary, LGB. Bookmark the permalink.